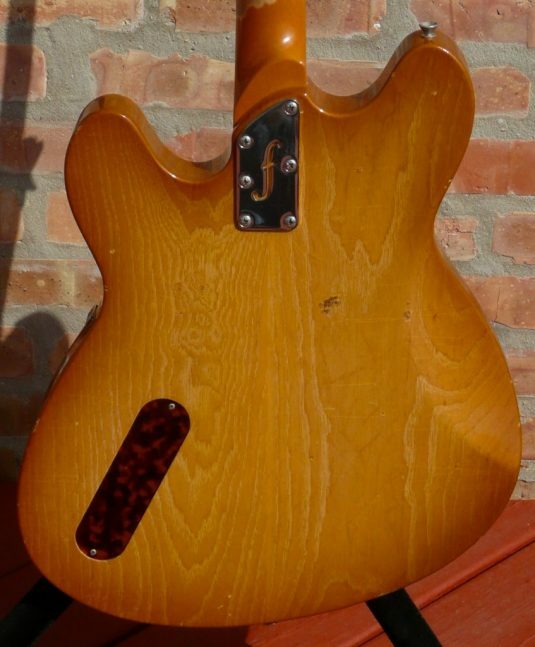 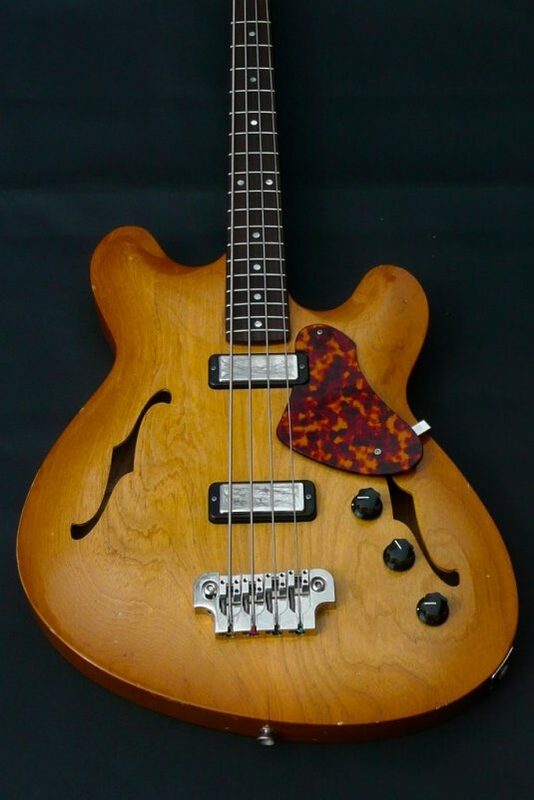 Here we have a late 2013 build by luthier Dennis Fano. 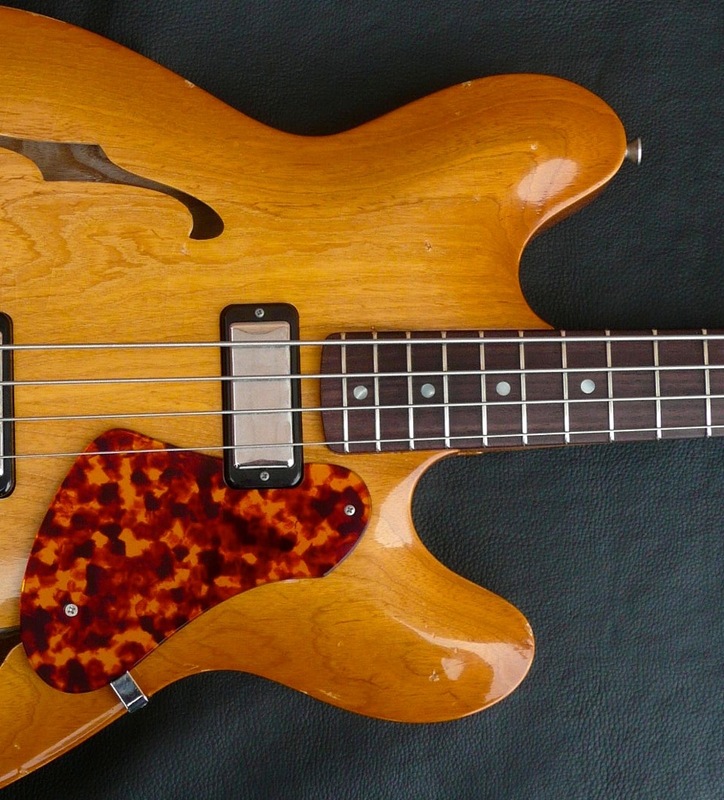 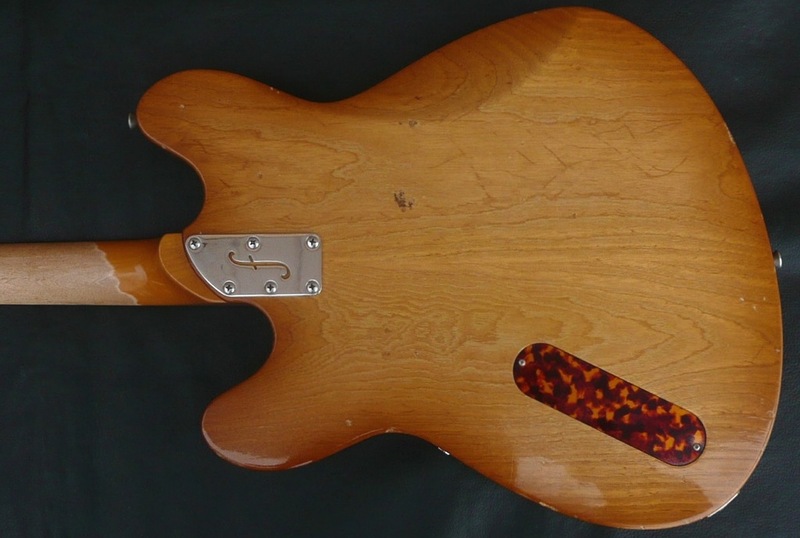 This is a modern relic re-imagination of a ’60’s bass that never existed. 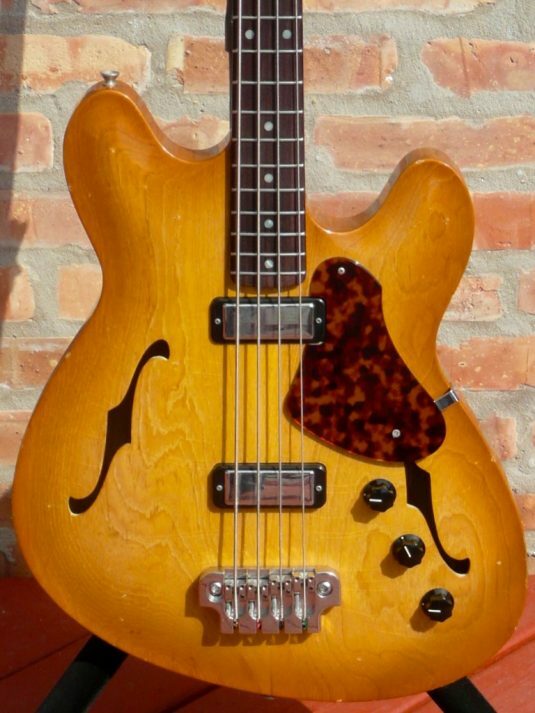 Maybe a Gibson EB2 D ? 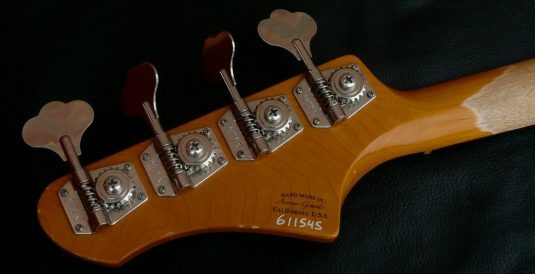 Volume , blend , and 10 position Stellartone rotary selector – a very cool option. 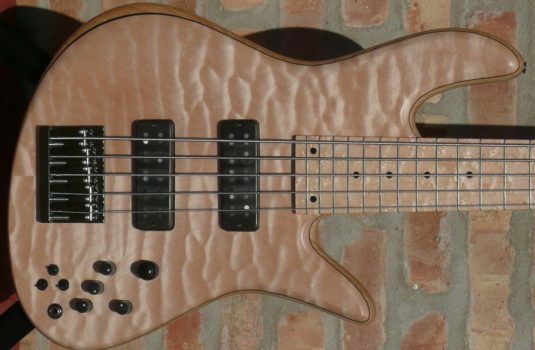 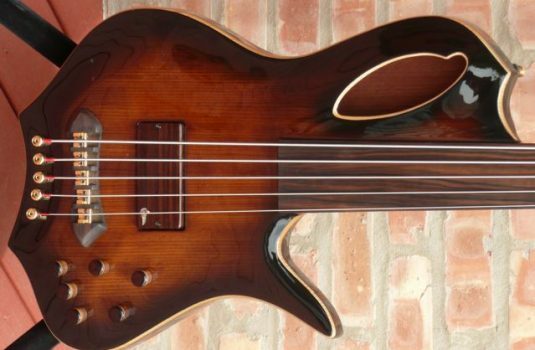 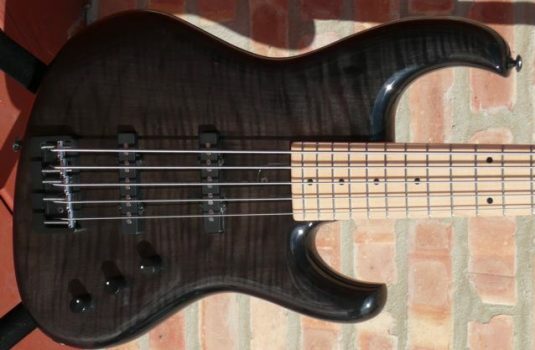 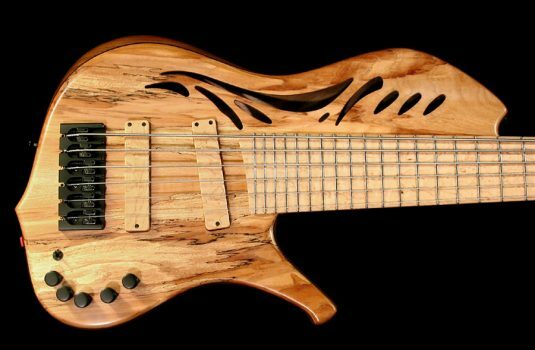 You may know that I really like semi-acoustic basses, this bass fits the bill. 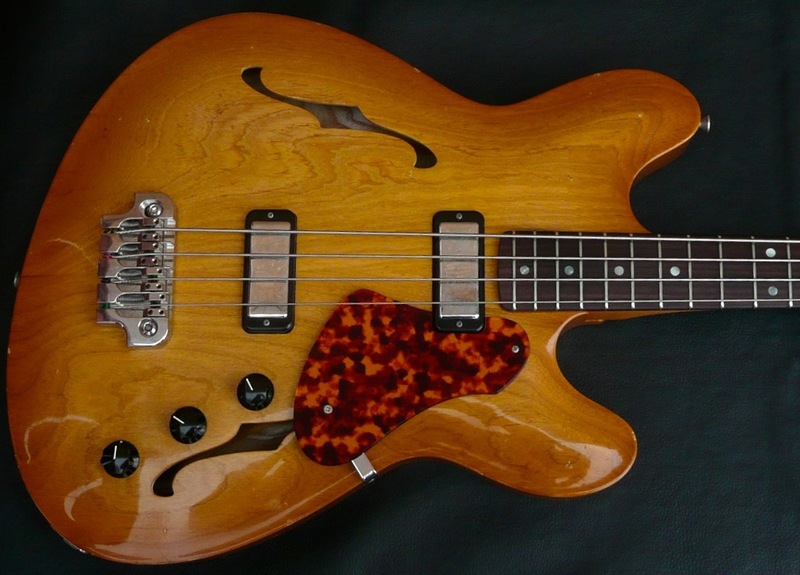 Supremely easy to play with the 32″ scale , extremely versatile with the Stellartone. 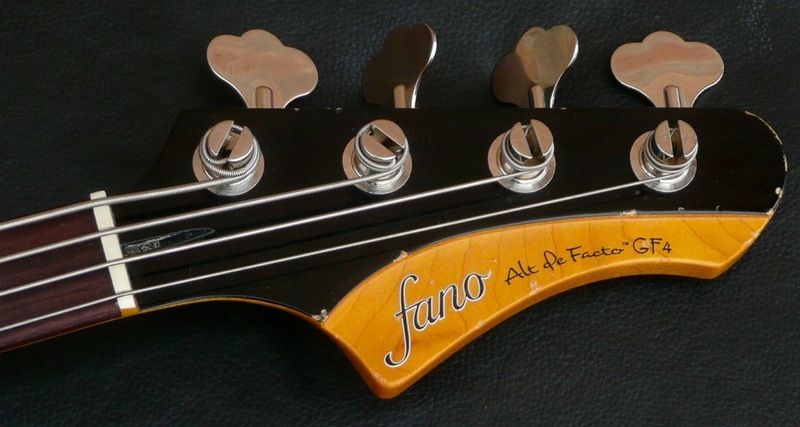 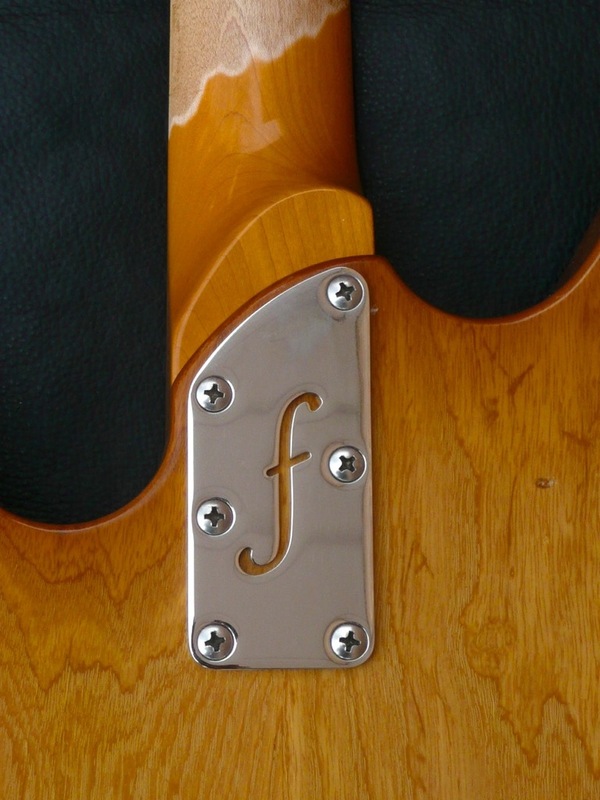 This bass has been little played ( as a backup to another Fano bass ) and I can virtually assure you that you every nick and scrape and scratch is genuine imitation and installed at the Fano workshop.